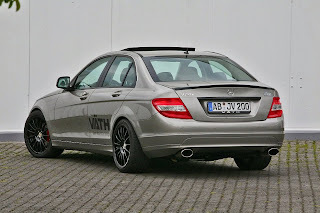 The Mercedes-Benz C200 is another incredible weapon in the Mercedes line-up that delivers more power to the punch. All models are rear-wheel driven and are linked through a five speed automatic transmission. A wagon or a sedan variant are available. Let's look at what makes the Mercedes-Benz C200 the classic vehicle it is. Surprisingly, you might think, when driving the C200, that there has to be a six-cylinder under the bonnet. But lo and behold -there is a 1.8 litre four-cylinder supercharged engine that packs enough power to make you scratch your head. The entry-level version of the Mercedes-Benz C200 range comes in the guise of a 4-cylinder with supercharger: the C 200 KOMPRESSOR. Thanks to new software for the engine management system and a modified piston profile, output and torque are right up there with the best of them. 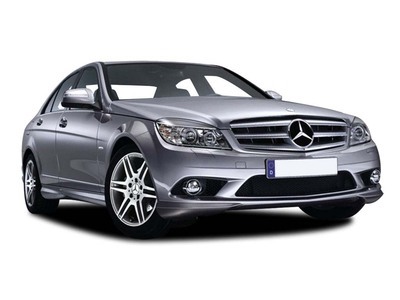 The Mercedes-Benz C200 KOMPRESSOR engine produces a lean and strong 135 kW of power. The smooth application of power, which is so accessible, is complemented with a lusty torque figure of 250 Nm. Then, perhaps, it comes as no surprise that acceleration from 0 to 100 km/h requires just 8.6 seconds, and the electronically limited top speed is a swift 210 km/h. With strict environmental laws hitting European car manufacturers, the Mercedes Benz C 200 has class leading fuel consumption figures that boast a combined average of 8.1 l/100 km. CO2 emissions average out to 195 g/km. Excellent, really! The ride of the Mercedes-Benz C200 leans towards a comfortable ride that is suited for touring. Comfort is delightful, but the suspension is firm enough for quick turns. The C200 comes with Electronic Stability Control and helps to ensure things don't get out of your control. Because the Mercedes-Benz C200 is very comfortale to drive, the relaxed manner of progress ensures that the driver remains alert. Dynamic four-wheel ABS brakes, air bags for the front, and curtain and door airbags for front and rear offer great passive safety features. A COMAND cockpit data management system with LINGUATRONIC voice activation ensures that you can keep both hands firmly on the steering wheel. A tyre-pressure-loss warning system is one of the great features the management system has. The Electronic Stability Programme (ESP) and Brake Assist (BAS) work superbly to detect hazardous driving situations – such as pronounced oversteer or understeer, sudden steering movements and emergency braking. Once detection of such an event has occured, the system makes the necessary corrections. Low-beam headlamps based on the bi-xenon headlamp system with active light function automatically adapts to the respective driving situation. For instance, the illumination is wider on a country road, while on motorways the range is increased significantly. The Intelligent Light System also features enhanced fog lamps and headlamps that follow the movement of the steering wheel to light the road ahead. A speed sensing cruise-control system also keeps you a safe distance from the vehicle in front. The comfort of the interior is outstanding, and provides the occupants with ample head and leg room. There is a multi-function steering wheel that provides a multitude of controls, all within the driver's thumb-reach. Stereo systems vary by taste, and range from the simplistic to the "wow" factor level.